I don’t think there is a way to go wrong with Apple Pie. No way at all. In fact, even as I type this up, at nearly 10:30 at night… I’m seriously considering heading downstairs to get the second to the last piece of apple pie. Warmed up in the oven and a nice big spoonful of vanilla ice cream added… because it just wouldn’t be the same without it. 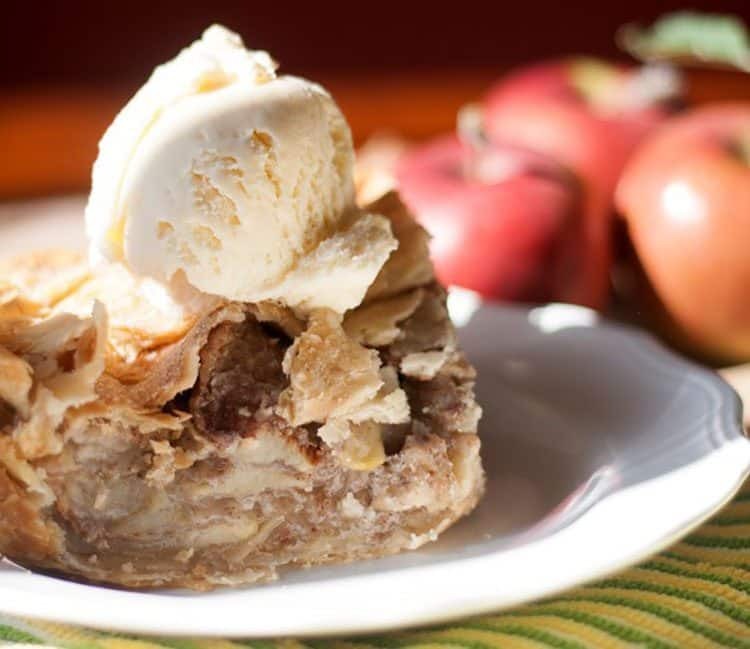 Apple Pie is a great comfort food. And who doesn’t need a little bit of comfort, and hey… if it comes in the form of my Mom’s Apple Pie, all the better. You can’t get better than a home-cooked meal, mashed potatoes with gravy and apple pie. Apple pie with apples right from my apple tree in the back yard, I might add. Our trees are finally producing. So… we enjoyed comfort in apple pie and family. Without further ado, I give you Mom’s Apple Pie Recipe. No need to keep looking for the apple pie recipe your mom used to make. 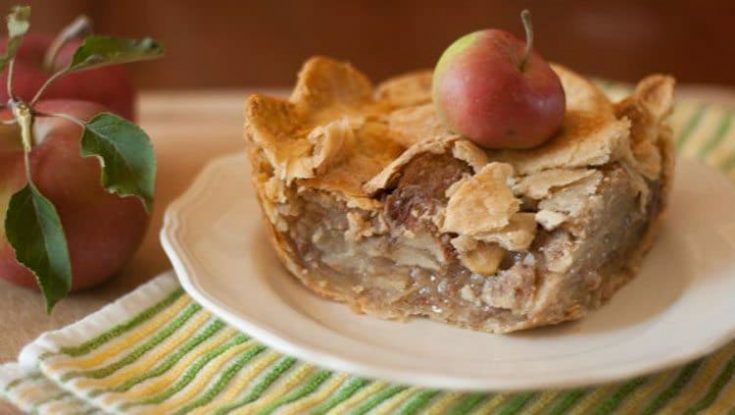 I will let you in on a little secret… we like to cheat and use store-bought refrigerated pie crust. No harm, no foul, right? That being said, I do use fresh apples–whether I’m picking them from my own trees, from a u-pick orchard, a farmer’s market or the grocery store. There is a handy trick if you use apples a lot in cooking. Invest in an apple peeler. These handy tools save you HUGE amounts of time AND work really well. Here is the apple peeler I use…and let me tell you, it is well worth the twenty or so buck investment. What is your favorite pie crust recipe? Share the link with me in the comments, because I need to find a great pie crust! Line pie dish with one of the pie crusts. Slice apples and place in a bowl. Stir in the remaining ingredients (with the exception of the butter) until fairly well mixed. Pour apple mix over the crust in the pie dish. Add dabs of butter, and then cover with the second crust. Sprinkle a small amount of sugar over the top crust, and make a few slits to let steam escape. I’m so sorry to hear about you MIL. I hope she’s feeling better, and what a blessing that your parents were with you during a difficult time. Your mom’s apple pie looks gorgeous! I think apple pie recipes are like chocolate chip cookie or brownie recipes. There’s no “wrong way” to make it, and I love reading and trying as many recipes as possible. I have a favorite pie crust recipe, but it’s been adapted over the years so unfortunately there’s no link I can provide for you. Right now the recipe is a series of notes/chicken scratch in my recipe notebook. But what I do know off the top of my head is that it’s made with 100% butter (no shortening), and there’s a whole heck of a lot of it! Hi Aida. Thanks so much for your kind words. I need a piece of apple pie now! This looks awesome. Thank you for sharing this with the Less Laundry, More Linking party. 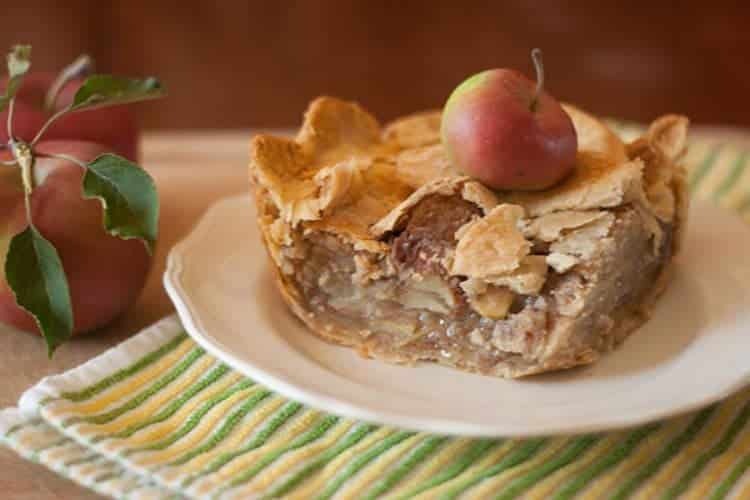 I have not made an apple pie for awhile for some reason and that recipes looks just like the kind this mom makes too – yum! Google Aunt Viola’s Pie Crust. I tried it recently and loved it. I did substitute 1/4 cup of the shortening for butter.